I feel the same way. I have been purging and collecting clothes, toys and what-not to give to the Salvation Army and Goodwill. Much more than will be under the tree. We only do a few presents per child and one per adult. But I do plan on spending time together making things, including memories! I'm grateful that you make me laugh every time I read you, you being sarcastic or not! Thanks for being there! Love your list! Don't feel too bad for Heidi, she's half cyborg now...or whatever those surgeons turned her into. I am grateful for you! :o) You have made me laugh, not only at your stories, but at myself. Which is healthy! :o) As well as ponder those much deeper topics that matter most! You are a light out here in the www and I love coming by! you crack me up! big time! Heidi....ewwww. I was addicted to that show too...why, why, why? I love that pie shell! I'm going to have to put leaves on mine this year, too. So cute! I agree with you that this is the best week - in my home that usually means we get to spend some quiet time together as a family. The best holiday, faith, family and food. And as you said I love the fact the madness has quite started yet! 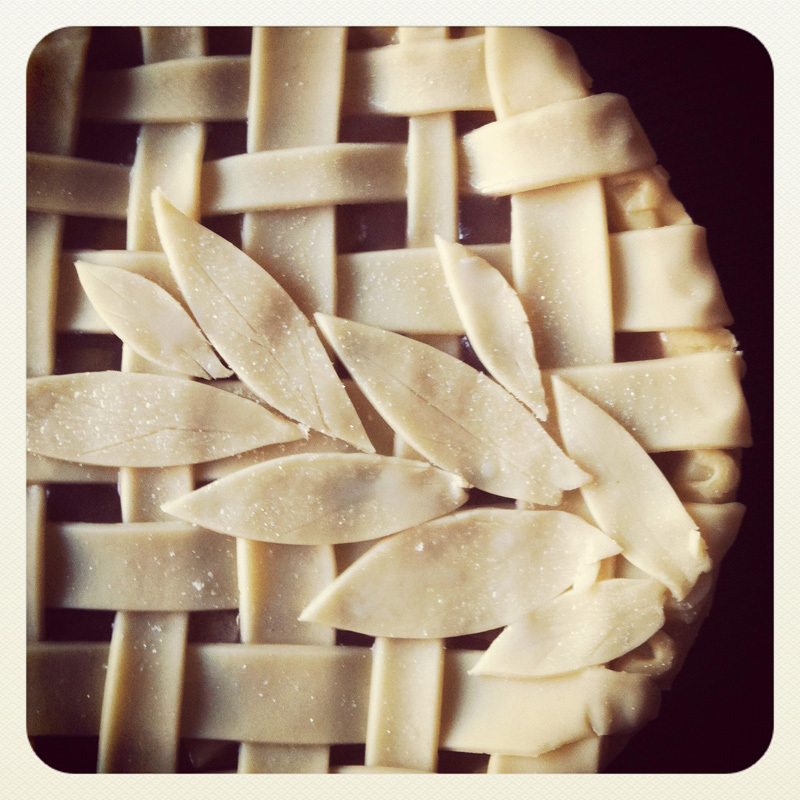 I love that even your pie is stunning. And, yes, I miss you. :)But I kind of get to visit you regularly. I'm grateful for the technology that makes the world seem a little smaller. Happy Thanksgiving! I love your humor! It is always been a glad to read your articles and they are really very nice and informative.